Parking lot near Kingfisher Bridge on a Saturday in June 2012. Depending on water availability, the Chatfield Reallocation Project will either inundate this area or turn it into mud flats. The Chatfield Reallocation Project was approved on June 4, 2014. Information about the decision is available at tinyurl.com/ChatfieldROD-announcement. On October 8, 2014, the Audubon Society of Greater Denver (Denver Audubon) filed a complaint In US District Court against the US Army Corps of Engineers to protect Chatfield State Park from the massive environmental damage that the Chatfield Storage Reallocation Project would do to the Park. On December 15, 2017, the District Court ruled in favor of the US Army Corps of Engineers’ decision to proceed with the Chatfield Reallocation Project, based on its October 2013 plan to increase storage space in Chatfield Reservoir by 20,000 acre-feet. Denver Audubon’s request to protect the park while the litigation plays out was denied. On November 5, 2018, the 10th Circuit Appeals Court affirmed the District Court’s decisions. Denver Audubon lost the appeal. Additional descriptions of law suits and legal documents associated with Audubon Society of Greater Denver (ASGD) v. United State Army Corp of Engineers (USACE) are available at https://www.savechatfield.org/content/more-information/audubon-lawsuit/. 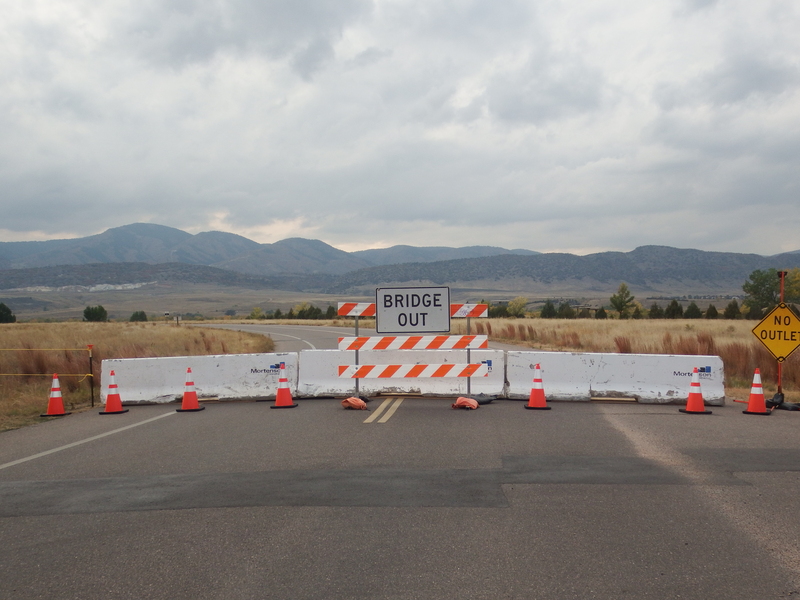 Much of Chatfield State Park is now closed for construction related to the the Chatfield Reallocation project. Check Recent Posts on the right column (or at the bottom of the page if your browser has a narrow window) for photos of the construction, comments about current mitigation plans, and photos of 2015 flooding that hint at the kind of devastation which may be in store for Chatfield State Park. Part way down the road from the east entrance of Chatfield State Park to Kingfisher Bridge in October 2018. Chatfield State Park has been one of Colorado’s most visited State Parks. Woodlands and riparian habitat are now being destroyed so that a consortium of water districts can store additional water in Chatfield Reservoir. The maximum storage level of the Reservoir is to be increased by 12 feet, expanding its footprint significantly. Perhaps worse, routine water levels in the reservoir are expected to fluctuate by as much as 21 feet. Swim beach facilities are being moved. Trees in woodlands that will be inundated are being cut down. Picnic sites in areas to be flooded are being moved to higher locations without shade trees. Because the consortium owns very junior water rights, water is expected to approach the maximum level only in extremely wet years. Many years the reservoir will be maintained close to its current level. At low water levels, the swim beach facilities will be more than 600 feet from the water’s edge. Rich woodland and riparian areas along Plum Creek and the South Platte River will be flooded during wet years and transformed into mud flats much of the time. Wildlife habitat will be destroyed. Visitors will have fewer opportunities for contact with nature. For more information please explore the links on this page. You can reach other pages on SaveChatfield.org through the links below the photo at the top of this page. The column at the right contains links to other sites and information from external sources. During the week of June 24, 2018, an Audubon volunteer naturalist monitoring the bluebird boxes at Chatfield State Park discovered that some boxes along the unpaved access road parallel to Wadsworth had been covered with plastic bags and taped shut. Investigating, she found that several boxes contained nests and eggs of bluebirds, house wrens and tree swallows. Inquiries revealed that ERO biologists, consultants for the Chatfield Mitigation Company, had allegedly “bagged” the boxes to prevent birds breeding along the access road, which will be used as a haul road during construction. Unfortunately, they bagged the nest boxes during the breeding season rather than before nesting had begun or after it ended. Result: dead eggs. Audubon is trying to find out if the consultants or the Mitigation Company had obtained permits to “take” nests, eggs or young of migratory birds from the US Fish and Wildlife Service, and why no one thought to notify Audubon, which runs the Bluebird Project and monitors the nest boxes regularly. During the whole Reallocation process, Audubon has made statements about the lack of commitment by the Reallocation proponents to transparency and public input. Here’s another example.